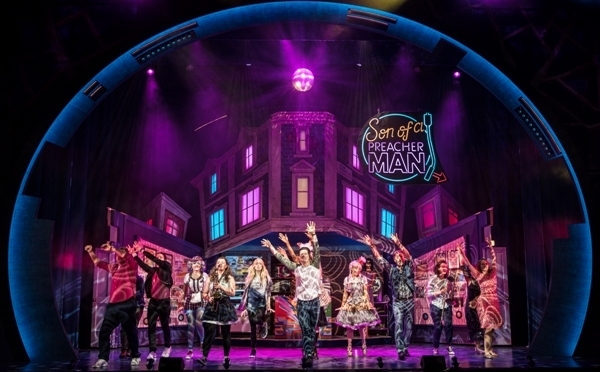 As Strictly Come Dancing and X Factor prepare to slug it out on our TV screens every Saturday night, elements of both shows harmoniously come together in Son of a Preacher Man. 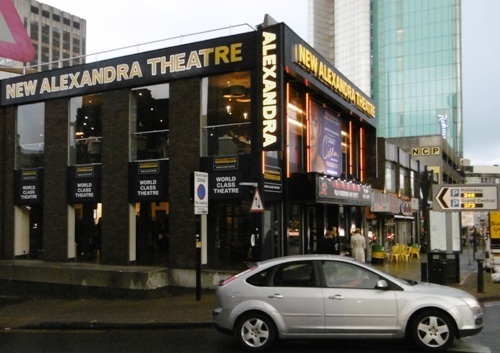 The 'play with music', running at Birmingham's New Alexandra Theatre until September 16, 2017, is directed and choreographed by Strictly judge Craig Revel Horwood and stars 2008's X Factor semi finalist Diana Vickers. 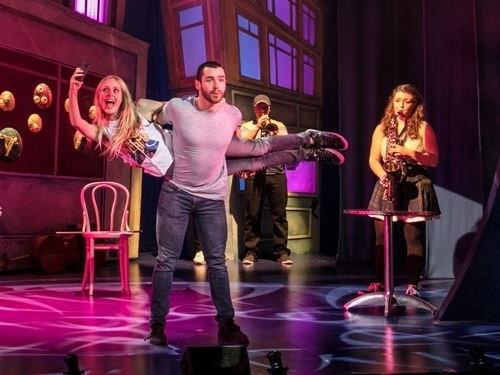 Incorporating songs made famous by Dusty Springfield it tells the story of three strangers meeting at the site of The Preacher Man, a Soho hangout popular in the 1960s run by the owner, 'The Preacher Man', who dispensed help and advice to lovesick teens. It is now a coffee bar, part of a chain, run by – you've guessed it – the son of the preacher man, and he is persuaded to help the three pilgrims in their quest for love. Diana Vickers' character, Kat, heard about The Preacher Man from her grandmother, and is searching for the Mister Right who rejected her on an internet dating site. Widowed teacher Alison (Debra Stephenson) needs guidance about feelings she has for a pupil. Michael Howe as Paul, the only one of the trio who frequented The Preacher Man in its heyday, wants to contact somebody he met – and fell in love with – there more than 40 years ago. Former Eastenders and Coronation Street star Ian Reddington is Simon, the son of the preacher man. All the leads are fine actors and their singing is easy on the ear – although, of course, they never come close to matching Dusty Springfield – but it is the young supporting cast that catches the eye. Members of the 10-strong multi-talented ensemble confidently sing and act but they also play a variety of instruments, including flute, cello, trumpet, trombone and violin. So rather than have lavish dance routines, as you might expect from a Revel Horwood production, the performers move around the stage playing orchestral instruments. It initially seems incongruous but works well. A number of the cast, including Kate Hardisty and Cassiopeia Berkeley-Agyepong, two of the three Cappuccino Sisters whose musical narration helps move the action along, are recent university, stage school and college graduates. Also impressive is Ellie-Jane Goddard who plays a number of instruments and contributes strong vocals on Spooky, a duet with Michael Howe. Another recent graduate is Lewis Kidd who plays Liam, the object of Alison's affections. He puts in an assured performance even after beginning a song too soon. This is only the second week of a long tour and these things happen! The story itself is quite cheesy and, at times, seems slightly contrived, devised only to allow the inclusion of songs like Mister Dee-Jay, The Look of Love and How Can I Be Sure?. It's something writer Warner Brown denies, insisting the story came first. Nevertheless, the result is a feel-good evening with a satisfying conclusion that had the audience leaving the theatre humming the hits of Dusty Springfield. Nov 28 - Dec 2: Swan Theatre, Wycombe. Sounds like there's some good songs in there.